Bio: Abdalaziz Alhamza is an award-winning Syrian journalist, human rights defender and activist living in Germany. He is the founder and spokesperson of Raqqa is Being Slaughtered Silently (RBSS), a nonpartisan, independent news page that exposes the atrocities committed by the Bashar Al-Assad regime in Syria. Alhamza started non-volatile protests and demonstrations against the Syrian regime in 2011 and was arrested by the regime three times in 2012. The Islamic State Group (ISIS) has interrogated him more than once about his activism. After ISIS took control of his hometown Raqqa in January 2014, he escaped to Turkey and started RBSS with his friends to show the reality of life in Raqqa and ISIS. In 2015, Alhamza received the International Press Freedom Award by the Committee to Protect Journalists and was named a Global Thinkers by Foreign Policy. In 2016, he was awarded the Ischia International Journalism Award, the Civil Courage Prize and other awards on behalf of RBSS. Alhamza graduated with a degree in biochemistry from Raqqa University. Bio: Adam Foss is a former assistant district attorney in the Juvenile Division of the Suffolk County District Attorney’s Office (SCDAO) in Boston, Massachusetts, and a fierce advocate for criminal justice reform and the importance of the role of the prosecutor in ending mass incarceration. Foss believes that the profession of prosecution is ripe for reinvention. Requiring better incentives and more measurable metrics for success beyond, simply, “cases won” led him to co-found Prosecutor Impact, a nonprofit that develops training and curriculum for prosecutors to reframe their role in the criminal justice system. Most recently, The Root named Foss one of the 100 Most Influential Black Americans of 2016. He was named Graduate of the Last Decade by his alma mater, Suffolk University Law School and is a visiting senior fellow at Harvard Law School. In February of 2016, Foss delivered a TED talk that has already eclipsed 1.5 million views. In 2015, he was voted one of the country’s 40 Most Up-and-Coming Lawyers by National Law Journal and in 2013, the Massachusetts Bar Association voted him Prosecutor of the Year. Foss works with Grammy-award winning artist John Legend on his efforts to end mass incarceration. In both his professional and personal capacities, he volunteers much of his time to the community he works in. Bio: Alaa Murabit is a physician and a UN high-level commissioner for health employment and economic growth, one of only 17 Sustainable Development Goal global advocates appointed by the UN secretary general. She is also a MIT Media Lab Director’s Fellow. She was recently named a 2017 Forbes 30 Under 30 for her work in global health policy. Her TED Talk, “What My Religion Really Says About Women” was “TED Talk of the Day” and one of four “moving TED Talks to watch right now” by The New York Times. Murabit completed high school at the age of 15 and moved from Saskatoon, Canada, to Libya, where she completed medical school. Driven by her desire to create inclusive processes and institutions, she founded The Voice of Libyan Women (VLW), an advocacy group for women, in 2011 at the age of 21. With a strong focus on challenging societal and cultural norms and utilizing traditional and historical role models, Murabit champions women’s participation in peace processes and conflict mediation. Her programs, such as the groundbreaking Noor Campaign, have been replicated internationally. Nicknamed “The Libyan Doogie Howser” by Jon Stewart and applauded for her innovative and inclusive approach to security, Murabit is a champion for inclusive peace processes, and acts as advisor to numerous international security boards, governments and organizations, serving as a board trustee for International Alert and Keeping Children Safe. An Ashoka fellow, Murabit is the youngest Marisa Bellisario International Humanitarian Award recipient, The New York Times International TrustWomen Hero 2014, Newsweek’s 25 under 25 to watch, a BBC 100 Top Woman and SAFE Global Hero. Murabit received her medical degree from the University of Zawia then went on to receive a master’s degree in international strategy and diplomacy with distinction from the London School of Economics. 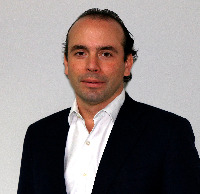 Bio: Alejandro Eder is the executive director of FDI Pacífico, the Foundation for the Integral Development of the Pacific Region of Colombia based in Cali, Colombia. FDI Pacífico is a private nonprofit organization that works to promote the development of long term public interest projects and policies that will contribute to the social and economic development of Colombia’s four Pacific provinces. Prior to FDI Pacífico, Eder worked at the Office of the High Presidential Counselor for Reintegration and at the Colombian Agency for Reintegration (ACR) from 2007 to 2014. From 2007 to 2010, he was the policy and strategic advisor at the ACR and he led an effort to comprehensively redesign Colombia’s reintegration process in order to make it more effective and sustainable. From 2010 to 2014, he was Colombia’s high presidential counselor for reintegration and director general of the ACR. As head of the ACR, Eder focused on developing a reintegration policy based on strengthening receptor communities, on developing the psychological and emotional stability of ex-combatants, and on guaranteeing the long-term sustainability of each individual’s reintegration through education, vocational training and private sector and third party engagement. Eder also worked for five years (2009 to 2014) in the Colombia peace process initially as a member of the team that secretly negotiated the framework agreement with the FARC in Havana, Cuba, and then as an alternate negotiator in the public phase of the process until October 2014. 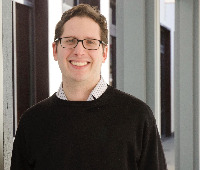 Eder has an undergraduate degree from Hamilton College and a master’s degree from Columbia University’s School of International and Public Affairs. Before working with the Colombian government Eder worked in investment banking and finance in New York City and Colombia. Bio: Andrew Hudson is an international human rights lawyer with 20 years of varied UN and international advocacy experience. He has held many positions at Crisis Action since joining in 2010, including New York director and deputy executive director. He provides world-class leadership to a global team and has spearheaded some of the organization’s signature advocacy successes, as well as leading critical aspects of the internationalization of Crisis Action. Prior to Crisis Action, Hudson worked for four years at Human Rights First, formerly known as Lawyers Committee for Human Rights, in New York. While there, he coordinated UN advocacy, managed the Human Rights Defenders Program and led work focused in Latin America. Previously, Hudson was a lawyer in Australia representing indigent clients and refugees, and spearheading major law reform projects. He has worked with the UN High Commissioner for Refugees in Ecuador, the UN Regional Commission in Thailand, the Australian delegation to the UN General Assembly and the UN Special Rapporteur on Extrajudicial Executions. Hudson holds honors degrees in politics and law from the University of Melbourne and a Master of Laws from New York University School of Law. He is a John Monash Scholar. Bio: Anthony Lake is the sixth Executive Director of the United Nations Children’s Fund. Over a career spanning 45 years of public service, Mr. Lake has worked at the most senior levels of the US government, including his tenure as National Security Adviser (1993-1997). He also served as the U.S. President’s Special Envoy in Ethiopia, Eritrea, and Haiti. Mr. Lake’s experience in international development began in the 1970s, as Director of International Voluntary Services, one of the world’s oldest peace organizations. He has also served on the Board of Directors of Save the Children and the Overseas Development Corporation. Over the past ten years, Lake has been an International Adviser to the International Committee of the Red Cross, and Chair of the Marshall Legacy Institute. From 1998 to 2007 he served on the Board of the US Fund for UNICEF, with a term as Chair from 2004 to 2007, after which he was appointed a permanent honorary member. Bio: Antony Bugg-Levine is the CEO of Nonprofit Finance Fund, a national nonprofit and financial intermediary that unlocks the potential of mission-driven organizations through tailored investment, strategic advice and transformational ideas. He oversees more than $340 million of investment capital, a national consulting practice, and works with a range of philanthropic, private sector and government partners to develop and implement innovative approaches to financing social change. He writes and speaks on the evolution of the social sector and the emergence of the global impact investing industry. He is the co-author of “Impact Investing: Transforming How We Make Money While Making a Difference” (Wiley, 2011). As a managing director at The Rockefeller Foundation, Bugg-Levine designed and led the foundation’s impact investing initiative. He is the founding board chair of the Global Impact Investing Network and convened the 2007 meeting that coined the phrase “impact investing.” Previously, Bugg-Levine was the country director for Kenya and Uganda for TechnoServe, a nongovernmental organization that develops and implements business solutions to rural poverty. Earlier in his career, as a consultant with McKinsey & Company, he advised Fortune 100 clients in the financial services and health care sectors, and helped develop new frameworks for incorporating social dynamics into corporate strategy. He is an associate adjunct professor in the Social Enterprise Program at the Columbia Business School. He is also a Young Global Leader of the World Economic Forum. Bio: Ashish Karamchandani is the managing director at FSG, a mission-driven consulting firm that focuses on using market-based solutions to drive sustainable social change. His emphasis has been on multi-year programs such as low income housing. Through his work, Karamchandani helped to develop a housing market that has sold more than 100,000 homes and has more than 10 housing companies now offering 15- year mortgages to informal sector customers with no income documentation. He is currently co-leading a program to improve private preschool education for low income households in urban India. Karamchandani was the founder of Monitor Inclusive Markets (MIM), a social action unit within the Monitor Group. He pioneered MIM’s market-based approach to addressing the world’s development challenges and worked across multiple sectors. Prior to founding MIM, he started Monitor Group’s consulting business in India. Karamchandani also cofounded Ummeed, a nonprofit organization in India that works with children who have developmental disabilities. 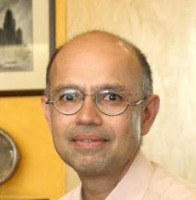 Karamchandani holds a Bachelor of Tech from Indian Institute of Technology, Bombay, a Master of Science from University of California, Berkley, and a PhD from Stanford University. Bio: Aykan Erdemir is a senior fellow at the Foundation for Defense of Democracies, a nonprofit, nonpartisan policy institute focused on foreign policy and national security. He is a former member of the Turkish Parliament (2011–2015) who served in the EUTurkey Joint Parliamentary Committee, EU Harmonization Committee, and the ad hoc Parliamentary Committee on the IT Sector and the Internet. As an outspoken defender of pluralism, minority rights and religious freedoms in the Middle East, he has been at the forefront of the struggle against religious persecution, hate crimes and hate speech in Turkey. He is a founding member of the International Panel of Parliamentarians for Freedom of Religion or Belief, and a drafter of and signatory to the Oslo Charter for Freedom of Religion or Belief (2014) as well as a signatory legislator to the London Declaration on Combating Anti-Semitism. Erdemir was recognized in 2014 as one of the Ten Outstanding Young Persons by the Junior Chamber International Turkey in the field of political, legal and governmental affairs. He was also awarded the 2016 Stefanus Prize for Religious Freedom. Erdemir received his Bachelor of Arts in international relations from Bilkent University, Ankara, and holds a Master of Arts in Middle Eastern studies, as well as a PhD in anthropology and Middle Eastern studies from Harvard University. He was a doctoral fellow at Hauser Center for Nonprofit Organizations at Harvard University’s Kennedy School of Government, and a research associate at the University of Oxford’s Center on Migration, Policy and Society (COMPAS). In March 2015, Erdemir was awarded a distinguished fellowship at the Oxford Centre for the Study of Law and Public Policy at the Harris Manchester College, University of Oxford. He has taught at Bilkent University in Ankara, and Middle East Technical University, where he also served as deputy dean of the Graduate School of Social Sciences and graduate director of the German-Turkish Masters in Social Sciences. Erdemir has co-authored three books and edited seven volumes including “Antagonistic Tolerance: Competitive Sharing of Religious Sites and Spaces” (Routledge, 2016). Bio: Barbara Gonzalez is the head of the Mo Dewji Foundation, a registered charity founded by Africa’s youngest billionaire, Mohammed Dewji. The foundation is dedicated to enriching the lives and alleviating Tanzanian citizens from poverty and hardship through health, education and community development. She is responsible for developing strategies to address some of the world’s most challenging inequities and leading all the foundation’s efforts to promote equity and sustainable livelihoods for all Tanzanians. Gonzalez serves on the advisory board for Young African Leaders Initiative (YALI) Regional Leadership Center East Africa. YALI was launched by President Barack Obama as a signature effort to invest in the next generation of African leaders. Prior to the foundation, Gonzalez was a consultant at Deloitte Consulting Limited Tanzania. She was involved in projects for public sector clients including USAID, UNICEF, World Bank and Plan International. Gonzalez holds a master’s degree in development management from the London School of Economics and Political Science, and a bachelor’s degree with honors in economics and political science from Manhattanville College in Purchase, New York. Bio: Ben Rattray is the founder and CEO of Change.org, the world’s largest platform for social change with more than 170 million users. Rattray has been named one of Time’s 100 most influential people in the world, Fortune’s 40 Under 40 rising young business leaders, and Fast Company’s most creative people in business. He is a thought leader on the intersection of technology, business and social change. He has been profiled in dozens of news outlets including The New York Times, NPR, The Washington Post, and CNN. He is a graduate of Stanford University and the London School of Economics. Bio: Caroline Teti is a field director for GiveDirectly, a nonprofit organization aiming to reshape international giving. Each month, thousands of people receive unconditional cash transfers from GiveDirectly that transforms their lives. She joined GiveDirectly from Evidence Action where she worked as a senior program manager of Kenya’s national school-based deworming program, the premier nationally-scaled-government-led deworming initiative that benefitted six million children each year. Throughout her career, Teti has worked in Kenya within health, education, water and sanitation sectors in both governmental and nongovernmental organizations. She has gained vast experience in program management and advocacy programs for youth, women and children in Kenya, Africa and Europe. As a field director at GiveDirectly, Teti has managed the set-up of the Basic Income project providing leadership for the design of field execution and launching the Basic Income pilot in Kenya. She currently manages external relations for the Kenya country office, a role that involves managing partnerships with the Kenyan government, media and donors. Teti holds a postgraduate degree in development communication from Daystar University, a Bachelor of Arts in English from Kenyatta University and postgraduate diploma in gender and human rights from Uppsalla University. 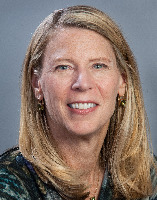 Bio: Carolyn Miles is president and CEO of Save the Children, an organization that gives children in the United States and around the world a healthy start, the opportunity to learn and protection from harm. The global Save the Children movement currently serves over 185 million children in the U.S. and in more than 120 countries. 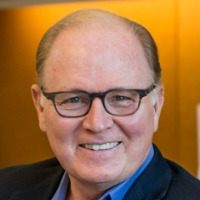 Miles joined the organization in 1998, served as its chief operating officer from 2004 to 2011, and became president and CEO in September 2011. Under her senior leadership, the organization has more than doubled the number of children it reaches with nutrition, health, education and other programs. Resources were just under $700 million in 2015. Miles’ signature issues include hunger, learning outcomes and ending preventable child deaths. Prior to Save the Children, she worked in the private sector in Hong Kong for American Express and as an entrepreneur. While in Asia, she confronted the deprivation of the region’s children, which motivated her to dedicate her life to their welfare. Miles has served on numerous boards, including Blackbaud, InterAction, USGLC, MFAN, Academy of Education, Arts and Sciences, and the University of Virginia’s Darden School of Business, where she received her MBA. In 2015, Miles was named one of the 50 World’s Greatest Leaders by Fortune magazine and inducted into the Connecticut Women’s Hall of Fame. She is married with three children. Bio: Carroll Bogert is president of The Marshall Project, a nonpartisan, nonprofit news organization that seeks to create and sustain a sense of national urgency about the U.S. criminal justice system. Launched in November 2015, The Marshall Project covers a wide range of topics including mass incarceration, race and policing, juvenile justice, health and mental health, as well as immigration. It is the youngest news organization ever to win the Pulitzer Prize. Bogert was previously deputy executive director at Human Rights Watch, running its award-winning global media operations for 18 years. Before joining Human Rights Watch in 1998, Bogert spent 12 years as a foreign correspondent for Newsweek in China, Southeast Asia and the Soviet Union. 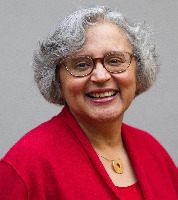 Bio: Cecilia Conrad is a managing director at the John D. and Catherine T. MacArthur Foundation. Her portfolio includes the MacArthur Fellows program, the MacArthur Award for Effective and Creative Institutions and 100&Change. Before joining the foundation in January 2013, she had a distinguished career as both an economics professor and an administrator at Pomona College in Claremont, California. Before joining the faculty at Pomona College, Conrad served on the faculties of Barnard College and Duke University. She was also an economist at the Federal Trade Commission and a visiting scholar at The Joint Center for Political and Economic Studies. Conrad received her bachelor of arts degree from Wellesley College and holds a PhD in economics from Stanford University. Bio: Daniel Bekele is the senior director for Africa advocacy at Human Rights Watch in New York. He previously served in the organization as the executive director of the Africa division from 2011 to 2016. Prior to joining Human Rights Watch, Bekele practiced law in Ethiopia and he managed Action Aid Ethiopia’s policy research and advocacy department. He also served as the legal department director and secretary of the board for United Insurance Company. Bekele has extensively consulted with non-governmental organizations including Oxfam, ARTICLE 19, Freedom House and PACT, as well as with USAID and the World Bank. He has worked in varying capacities with numerous civil society organizations, and led the national-level campaign for the Global Call to Action against Poverty. Bekele’s focus includes promoting African civil society organizations, human rights and good governance. In the 2005 parliamentary elections in Ethiopia, Bekele was actively involved in promoting human rights and independent election monitoring, as well as peace initiatives in the aftermath of the post-election crisis. However, he was arrested for his activism and spent more than two years in prison in Ethiopia. He was internationally recognized as prisoner of conscience, and in 2009 received the Alison Des Forges Award for extraordinary activism. In 2010, he was nominated for the Martin Ennals Human Rights Defenders Award and the Index Freedom of Expression Award. Bekele received a bachelor’s degree in law and a master’s degree in regional development studies from Addis Ababa University, and a master’s degree in legal studies from Oxford University, where he is completing a PhD in international law. Bio: David Lubell is the founder and executive director of Welcoming America, a nonprofit organization established in 2009 that helps communities in the U.S. and around the world reach their full potential by becoming welcoming to immigrants and refugees. Welcoming America’s unique expertise is in helping long-time residents of communities adjust to—and seize as an opportunity—demographic change caused by significant migrant in-flows. Lubell’s award-winning concept has gained recognition nationally and internationally. The Obama White House honored Welcoming America as a White House Champion of Change for innovations in immigrant integration. In 2014, the United Nations Alliance of Civilizations (UNAOC) and BMW Group distinguished Welcoming America as a recipient of their Intercultural Innovation Award. In 2016, he gave a TEDxBerlin Talk to highlight the importance of welcoming newcomers and received the Ohtli Award, one of the highest awards given by the Government of Mexico to those who work with the Mexican community abroad. Lubell began his career as the advocacy and organizing director of Latino Memphis. He later founded and became executive director of the Tennessee Immigrant and Refugee Rights Coalition (TIRRC). He is a recipient of several social entrepreneurship fellowships, including those from Ashoka, Draper Richards Kaplan and Harvard. He is also a World Economic Forum Young Global Leader, and was named to the 2016 Chronicle of Philanthropy’s 40 under 40 list. A Wesleyan University graduate, Lubell holds a master’s degree in public administration from the Harvard Kennedy School of Government and a certificate in nonprofit management from Georgetown University. 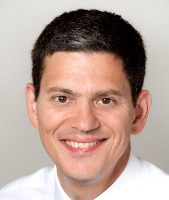 Bio: David Miliband is the president and CEO of the International Rescue Committee (IRC). He oversees the agency’s relief and development operations in more than 30 countries, its refugee resettlement and assistance programs throughout the United States and the IRC’s advocacy efforts in Washington and other capitals on behalf of the world’s most vulnerable people. Miliband had a distinguished political career in the United Kingdom more than 15 years. From 2007 to 2010, he served as the youngest foreign secretary in three decades, driving advancements in human rights and representing the United Kingdom throughout the world. As secretary of state for the environment in 2005 to 2006, he pioneered the world’s first legally binding emissions reduction requirements. His accomplishments have earned him a reputation, in former President Bill Clinton’s words, as “one of the ablest, most creative public servants of our time”. Earlier, Miliband was minister for schools (2002–2004); and head of Downing Street’s Number 10 Policy Unit (1997–2001). He has also been a member of Parliament representing South Shields. He was co-chair of the Global Ocean Commission from 2012 to 2016. Miliband graduated from Oxford University in 1987 with a first class degree in philosophy, politics and economics, and received his master’s degree in political science in 1989 from the Massachusetts Institute of Technology, which he attended as a Kennedy Scholar. He is married to violinist Louise Shackelton and they have two sons. Miliband’s parents were refugees from Belgium and Poland to the U.K. in the 1940s. As the son of refugees, he brings a personal commitment to the IRC’s work. Bio: David Tolbert is president of the International Center for Transitional Justice, a global human rights organization. Previously he served as registrar of the Special Tribunal for Lebanon and prior to that was assistant secretary-general and special expert to the United Nations secretary-general on United Nations Assistance to the Khmer Rouge Trials. From 2004 to 2008, Tolbert served as deputy chief prosecutor of the International Criminal Tribunal for the former Yugoslavia (ICTY). He had previously been the deputy registrar of the ICTY and, at an earlier time, served at the ICTY as chef de cabinet to President Gabrielle Kirk McDonald and senior legal adviser, Registry, serving a total of nine years at the ICTY. From 2000 to 2003, Tolbert held the position of executive director of the American Bar Association’s Central European and Eurasian Law Initiative, which manages rule-of-law development programs throughout Eastern Europe and the former Soviet Union. He also held the position of chief, General Legal Division of the United Nations Relief Works Agency in Vienna, Austria and Gaza. In addition, he taught international law and human rights at the post-graduate level in the United Kingdom and practiced law for many years in the United States. Tolbert was a Jennings Randolph Senior Fellow at the United States Institute of Peace and served as a member of the American Society of International Law Task Force on United States policy toward the International Criminal Court (ICC) during 2008 and 2009. He has a number of publications on international criminal justice, the ICTY and the ICC in the “Harvard Human Rights Journal,” “The Fletcher Forum of World Affairs,” and other journals and books. Tolbert frequently lectures and makes public appearances on international justice issues. He also represented the ICTY in the discussions leading up to the creation of the ICC and the Rome Conference, and served as an expert to the ICC Preparatory Committee Inter-Sessional meetings. Tolbert is a member of the Council on Foreign Relations. Bio: Dele Olojede, a writer, publisher and editor, is the first African to win the Pulitzer Prize. During his 35-year career in newspaper media, Olojede has reported and written from more than 50 countries on four continents, covering dictators, warlords, musicians, genocides, hopeful elections, famines and historic figures, including Nelson Mandela. He was the publisher of NEXT newspapers in his native Nigeria which, for an exhilarating five years in the mid-2000s, sought to demonstrate the centrality of an incorruptible media to a democratic society beset by rapacious elites. He won the McNulty Prize in 2011 for his vision and efforts in creating NEXT. 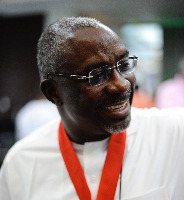 Olojede received the 2010 prize for Ethical Business Leadership from the Global Forum for Ethics in Business. In 2009, he was awarded the Distinguished Alumni Prize of Columbia University, where he earned a master’s degree in journalism nearly 30 years ago. He studied at the University of Lagos and is a fellow of the Aspen Global Leadership Network. Olojede is currently building a platform for long-form writing about the African world. He is married to Amma Ogan, a former newspaper editor and columnist, and they have two young adult daughters. Bio: Deogratias “Deo” Niyizonkiza, Village Health Works (VHW)’s visionary founder and CEO, is a leading advocate for the most impoverished people in the world. His compassion, expertise and life experience have made him a key voice in global health and international development. An American citizen, Niyizonkiza was born in rural Burundi, where he attended grade school and part of medical school. He eventually left the country during the catastrophic war that lasted more than a decade and took the lives of hundreds of thousands people. He survived not only this man-made tragedy and poverty but also homelessness in New York City. Niyizonkiza’s life journey is told in Pulitzer Prize-winner Tracy Kidder’s most recent work, Strength in What Remains, a New York Times best seller named one of the best books of the year by The Washington Post, The San Francisco Chronicle, The Los Angeles Times and The Chicago Tribune. Despite the hurdles—homelessness, illness and low-paying work as a grocery store delivery boy— Niyizonkiza eventually enrolled at Columbia University, where he received a bachelor’s degree in biochemistry and philosophy. After graduating from Columbia, he attended the Harvard School of Public Health, where he met Dr. Paul Farmer and began working at the medical non-profit organization Partners In Health. He left Partners In Health to continue his medical education at Dartmouth Medical School. In 2005, with his unwavering conviction that humanity’s progress should be in how we value and honor the dignity of others, including those a world away, Niyizonkiza traveled back to Burundi to establish Village Health Works in the remote village of Kigutu. His goal was to remove barriers to human dignity and progress by creating a healthcare system model in Burundi, an East-African country which is one of the poorest on the planet. Deo’s passion rallied his native community of Kigutu into action. Thanks to community-donated land, a small amount of seed money from American fellow students and supporters, a community of compassionate volunteers and Deo’s leadership, the health center opened in December 2007. Niyizonkiza’s success in building an entirely community-driven health and development organization is unprecedented and makes Village Health Works unique among NGOs. 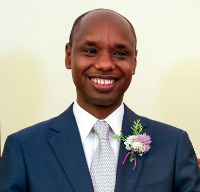 A frequent lecturer on global health, Deo is the recipient of multiple awards, including the 2014 Wheaton College Otis Social Justice Award, the 2014 Dalai Lama Unsung Hero of Compassion Award, the 2013 People to People International’s Eisenhower Medallion Award, a 2013 honorary degree from Williams College, the 2011 International Medal Award of St. John’s University and the 2010 Women Refugee Commission’s Voices of Courage Award. 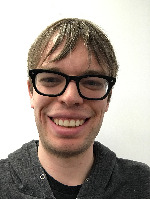 Bio: Dylan Matthews is a senior correspondent at Vox. He covers domestic, economic and tax policy, developments in political science and economics, and philanthropy, with a particular focus on global poverty, effective altruism and the cash revolution in development. His recent projects include a history and evaluation of the legacy of the 1996 welfare reform, an assessment of the effectiveness of the Clinton Foundation’s efforts to reduce HIV and AIDS drug prices, and a profile of GiveDirectly’s basic income experiment in Kenya. 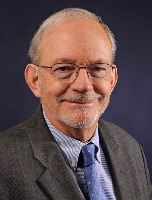 Bio: Edmund J. Cain oversees all domestic and international grant programming at the Conrad N. Hilton Foundation, including overall responsibility for the foundation’s strategic planning. Prior to joining the foundation, Cain served as director of The Carter Center’s Global Development Initiative, which facilitated national development strategies in post-conflict countries. A senior member of The Carter Center’s Peace Program team, Cain advised former President Carter on global development issues and participated in election monitoring missions. Prior to that, Cain had a long career with the United Nations serving in Malaysia, Myanmar and Afghanistan, and was a U.N. resident coordinator in Turkey and in Egypt. He was also the first director of the United Nations Development Programme’s (UNDP) Emergency Response Division. In that capacity he oversaw the formulation of UNDP’s disaster response policy and led missions to war-torn and disaster-affected countries. Cain also served in the U.N. Secretariat as the chief of staff to the U.N. undersecretary general for general assembly and political affairs. A fellow at the Harvard Center for International Affairs and senior fellow at UCLA’s Luskin School of Public Affairs, Cain holds a master’s degree in public affairs from the University of Oregon and a bachelor’s degree in political science and international affairs from the University of Delaware. 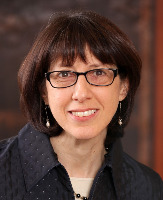 Bio: Ellen Taus is the chief financial officer and treasurer for The Rockefeller Foundation. She oversees the foundation’s audit, tax, budgeting, insurance and cash management functions. 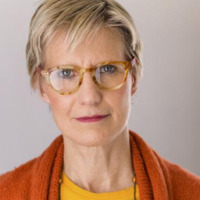 Prior to joining The Rockefeller Foundation, Taus was the chief financial officer of Oxford University Press USA, where she oversaw the organization’s business operations in the United States. From 1999 to 2003, Taus served as the chief financial officer for the Electronic Publishing Division of The New York Times Company after having been the company’s vice president and treasurer for three years. Earlier in her career, she worked in corporate finance for R.H. Macy & Company, and was the chief financial officer for the American Museum of the Moving Image. A graduate of Northwestern University with a Bachelor of Arts in economics, Taus holds an MBA in finance and marketing from Columbia University. She currently serves on the stewardship committee of the Audubon Society of New York and is treasurer and a member of the board of directors of Comprehensive Development Inc., a New York City education organization. Bio: Eric Liu is an author, educator and civic entrepreneur. He is the founder and CEO of Citizen University, which promotes and teaches the art of powerful citizenship through a portfolio of national programs, and is the executive director of the Aspen Institute Citizenship and American Identity Program. His books include the national bestsellers “The Gardens of Democracy,” and “The True Patriot,” co-authored with Nick Hanauer. Liu’s most recent book is “A Chinaman’s Chance,” published in July, 2014. His first book, “The Accidental Asian: Notes of a Native Speaker,” was a New York Times notable book featured in the PBS documentary “Matters of Race.” His other books include “Guiding Lights: How to Mentor—and Find Life’s Purpose,” the official book of National Mentoring Month and “Imagination First,” co-authored with Scott Noppe-Brandon of the Lincoln Center Institute, which explores ways to unlock imagination in education, politics, business and the arts. Liu served as a White House speechwriter for President Bill Clinton and later as the president’s deputy domestic policy adviser. After the White House, he was an executive at the digital media company RealNetworks. In 2002, he was named one of the World Economic Forum’s Global Leaders of Tomorrow, and in 2010, he was awarded the Bill Grace Leadership Legacy Award by the Center for Ethical Leadership. Liu lives in Seattle where he teaches civic leadership at the University of Washington and hosts Citizen University TV, an award-winning television program about civic power. In addition to speaking regularly at venues across the country, Liu also serves on numerous nonprofit and civic boards. He is the co-founder of the Washington Alliance for Gun Responsibility, and a board member of the Corporation for National and Community Service. He is a graduate of Yale College and Harvard Law School. 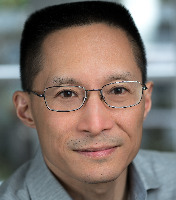 A regular columnist for CNN.com and a correspondent for TheAtlantic.com, Liu can be found on Twitter @ericpliu. 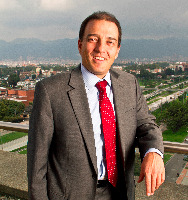 Bio: Fernando Cortés is the vice president of corporate social responsibility at Grupo Bolívar and the executive director of Fundación Bolívar Davivienda, the philanthropic arm of Grupo Bolívar, based in Bogotá. His experience spans many industry sectors including: graphic arts, food, consumer products, flowers, construction, financial services and the social sector. Cortés focuses on managing and developing economic and social projects, taking into account the generation of value to all related parties and with the expectation of leaving a mark for the improvement of communities and the environment. 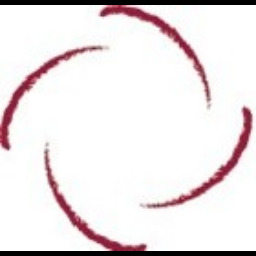 At Fundación Bolívar Davivienda, his valuable management skills have allowed the organization to grow and scale quickly with a mission to support and foster transformative and high-impact projects that generate capacities in people, communities and organizations to build a more just, equitable and innovative society. Cortés graduated from School of Business Administration of Universidad de los Andes in Bogotá and holds a master’s degree from the Thunderbird School of Global Management. Bio: Glenn Martin is the president and founder of JustLeadershipUSA (JLUSA), an organization dedicated to cutting the U.S. correctional population in half by 2030. He is part of the vanguard of advocates working to make that future a reality. His goal is to amplify the voice of the people most impacted, and to position them as reform leaders. At its core, JLUSA challenges the assumption that formerly incarcerated people lack the skills to thoughtfully weigh in on policy reform. Rather, JLUSA is based on the principle that people closest to the problem are also the people closest to its solution. Martin speaks from personal experience, having spent six years incarcerated in a New York state prison in the early 1990s. That experience has informed his career, which has been recognized with honors such as the 2016 Robert F. Kennedy Human Rights Award and the 2014 Echoing Green Black Male Achievement Fellowship. Martin is also the founder of the #CLOSErikers campaign. 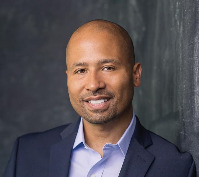 Prior to founding JLUSA, he was the vice president of The Fortune Society, one of the most respected re-entry organizations in the country, the co-director of the National HIRE Network at the Legal Action Center, and one of the co-founders of the Education from the Inside Out Coalition. Martin’s bold, unflinching leadership is recognized by leaders from across the political spectrum. Praise from Karol V. Mason, assistant attorney general for the Office of Justice Programs, is representative of the accolades he has received: “Thanks to you and so many others like you, we are on our way to restoring common sense to our corrections policies and correcting a terrible imbalance in this country.” Martin is a sought after public speaker and a frequent media guest appearing on national news outlets such as NPR, MSNBC, Fox News, CNN, Al Jazeera and C-SPAN. 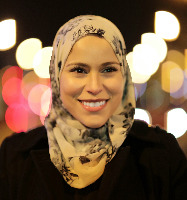 Bio: Since 2003, Lana Abu-Hijleh has been the country director of Global Communities Palestine, a nonprofit international development organisation headquartered in Silver Spring, MD. She leads a team of 200 Palestinian and international professionals in designing and implementing assistance programs that focus on economic revitalization, financial services, community and social infrastructure, democracy and governance, women and youth empowerment and food security in the West Bank and Gaza. Abu-Hijleh initiated the Youth Local Councils, a movement which offers Palestinian young people an opportunity to participate in, and run their own electoral process, respond to constituent concerns, plan and execute community improvement projects and shadow local ministers and council members in efforts to learn about good governance practices and become engaged citizens in the political process. In 2014, she was named a McNulty Prize laureate for her work to create and scale the Youth Local Councils. Previously, Abu-Hijleh served as the deputy resident representative of the UNDP Program of Assistance to the Palestinian People for more than 17 years. She is the first Palestinian woman to become a member of the board of directors of the Palestine Investment Fund and the Bank of Palestine. She is a fellow of the Aspen Institute Global Leadership Network, a member of the global Young Presidents’ Organization, and vice chair of the Partners for New Beginning, Palestine chapter. She serves on the boards of Palestine Economic Policy Research Institute, Arab Hotels Company, El-Funoun Palestinian Dance Troupe and the Palestinian Institute for Public Diplomacy. She is also a member of the Education for Employment Foundation-Palestine and the Business Women Forum. 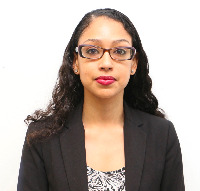 Bio: Jacinta Ma is the director of policy and advocacy at the National Immigration Forum. She helps to develop the forum’s policy priorities and advocacy strategy for implementing these priorities. She has more than 20 years of experience in law, policy and civil rights. Prior to the Forum, Ma was the deputy director at Asian Americans Advancing Justice (AAJC) where she oversaw a team of lawyers and other professionals working on civil rights issues that affected the Asian American community such as immigration and immigrant rights. Prior to working at AAJC, Ma was senior advisor to U.S. Equal Employment Opportunity Commission Commissioner Stuart J. Ishimaru where she advised the commissioner on matters involving employment discrimination and administrative law. Ma also served as senior policy advisor in the Office of First Lady Michelle Obama working on matters related to childhood obesity, mentoring and other priorities of the first lady. She has a wide-range of experience as a civil rights attorney on issues as diverse as voluntary desegregation in schools and transportation equity to litigating housing discrimination and bias-motivated threats or intimidation cases. Ma received her JD from New York University School of Law and her Bachelor of Arts from the University of California, Berkeley. 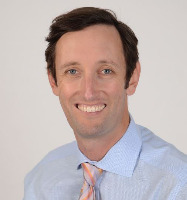 Bio: James Goldston is the executive director of the Open Society Justice Initiative, which advances the rule of law and legal protection of rights worldwide through advocacy, litigation, research and the promotion of legal capacity. A leading practitioner of international human rights and criminal law, Goldston has litigated several groundbreaking cases before the European Court of Human Rights and United Nations treaty bodies, including on issues of torture, counterterrorism and racial discrimination. In 2007 to 2008, he served as coordinator of prosecutions and senior trial attorney in the Office of the Prosecutor at the International Criminal Court. Prior to Open Society, Goldston was the legal director of the Budapest-based European Roma Rights Centre, director general for human rights of the Mission to Bosnia- Herzegovina of the Organization for Security and Cooperation in Europe and prosecutor in the office of the United States attorney for the Southern District of New York, where he focused on organized crime. Goldston graduated from Columbia College and Harvard Law School, and has taught at Columbia Law School and Central European University. 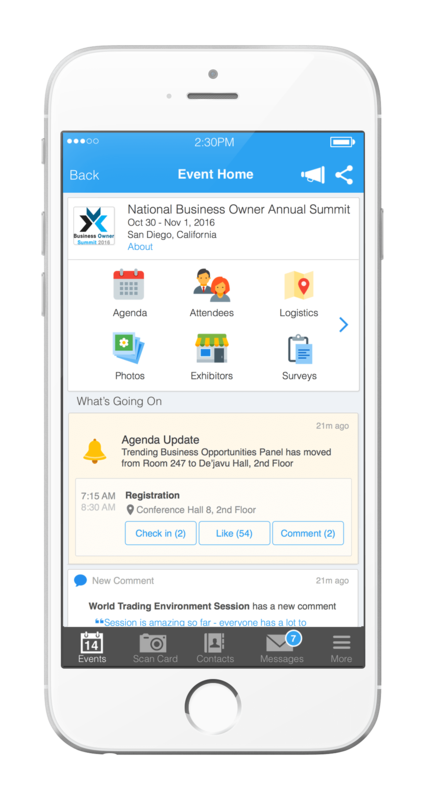 Attendees please download Whova event app, to access the information of all 97 speakers.